The judgment issued by the Court of Justice of the European Union in Case C-345/13 on 19 June 2014 clarifies two important aspects bearing on proceedings claiming infringement of unregistered Community designs, namely, consideration of the individual character requirement and the burden of proving that a design has individual character. 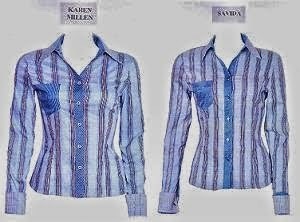 The court ruled on two questions referred by Ireland's Supreme Court in the context of a dispute between the British company Karen Millen Fashions ("KMF"), which had designed a striped blouse, and the Irish retail chain Dunnes Stores ("Dunnes"), which had sold a similar blouse. In proceedings instituted by KMF claiming infringement of their unregistered design, Dunnes admitted having copied the design but contested the design's validity, claiming that it lacked individual character. The first question the Supreme Court of Ireland referred to the Court of Justice was whether, for the purpose of determining individual character, an unregistered design was to be compared to previously disclosed individual designs or whether, as Dunnes had maintained, the design could be compared to a combination of separate features extant in various earlier designs. In its answer to this question the CJEU applied the same reasoning set out in the General Court's judgment of 22 June 2010 in Case T-153/08, advocating a literal reading of Article 6.1 of the Regulation on Community Designs, which speaks of the overall impression produced by "any design" which has been previously disclosed. The Court therefore construed the wording of this provision to mean that comparison must be conducted in relation to "specific, individualized, defined, and identified" designs from among all earlier designs. Still, Article 25.1 of the TRIPS Agreement expressly provides for the possibility of comparison with combinations of known design features. The Court, however, regarded this as an option that has not been taken up by the Community. The second question concerned the burden of proof as it relates to the individual character of unregistered designs, which Dunnes claimed should fall on the design holder. By contrast, the Court held that Article 85.2 of the Regulation establishes a presumption of validity for unregistered designs, to be interpreted as having the purpose of helping to achieve the objectives of simplicity and expeditiousness underpinning the idea of protection of unregistered designs as expressed in the recitals to the Registration. For this reason the Court concluded that in the context of proceedings claiming infringement of an unregistered design, the right holder may not be required to prove that the design fulfils the requirement for individual character but need only indicate which features, in his view, confer individual character on the design. This judgment will definitely be helpful for claiming infringement of unregistered designs, and it shares out the burden of proving the validity of designs in a manner consistent with that for other types of industrial property. In short, the Court's interpretation of the Community Design Registration is favourable to the interests of companies – among them, clothing companies – which use unregistered Community designs to protect their creations.